The best experience that I have had in the UK. I've gained knowledge, Friends and very understanding teacher. She has a perfect way to teach, very happy and looking forward to come back for another course. Hounslow Level 4 laser & IPL course. Everything that was advertised about the course was made clear and matched what I done in class. The length of the course was adequate. I would 110% recommend the training to others. I not only enjoyed it but gained a lot of knowledge and made new friends too. 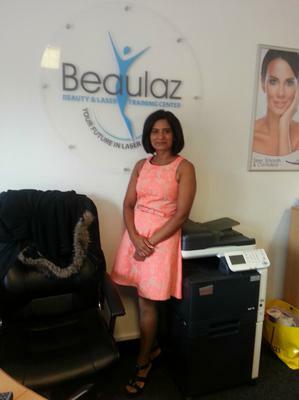 I now feel confident to carry out laser treatment on clients and feel that I need to do Level 3 and Beaulaz is going to help me train in that. I feel very confident about my new skills and can't wait to get a job. The venue is good because its like in a real work place and not just a classroom. The equipment was also very good, clean and modern. Very happy. My tutor has been the best,she really is a true credit to the company. She made me feel comfortable throughout all of my training and I found her very knowledgeable as she answered all of my questions and concerns. Just for her I would go on to have other training if she is the tutor. I just wanted to say how grateful I am for the help you gave me during the course. You are an amazing teacher and go the extra mile, I couldn't have asked for more. Thank you so much. beauty and laser skills Fulfilling course. The course is really nice and I am feeling really confident after its completion. I have understood how to use my beauty and laser skills. I am very confident about sales and marketing after this course too. The course and theory content are very nice. The Course involved a lot of independent learning. I found the course to fulfill my learning objectives more than expected. I would recommend this course to others as I feel confident enough to use my new skills, but felt I need longer to practice using the equipment. All the staff were very supportive and gave me quick responses to emails. The venue itself is very clean and safe. When I started the Beauty & Laser Training course I was worried about how it was going to be, but my experience was absolutely amazing teaching style was excellent, friendly, excellent, helpful, careful. Support of help was provided at every step of the course. Teaching method was very good, good communication was provided healthy and friendly environment provided nice learning opportunities of environment in the class. Which worked as well all mingled with each other. All questions were answered. There was opportunities which were provided for practice. Extra information was provided which enriched our knowledge and understanding. The teacher has gone beyond and above helping us finish the course on time. Assessment were done in a friendly manner of good guidance was provided. I would like to send my staff to do this course I would certainly recommend anyone to do this course. All questions were answered patiently, Special thank you to Talha. Overall experience was great, friendly and helpful. Thanks Talha and beaulaz . Best NVQ Level 4 Course in Laser & IPL Training. I did actually find the course to be informative. I felt very confident about the practical element of the course and think I need to practice more of the theory content at home. 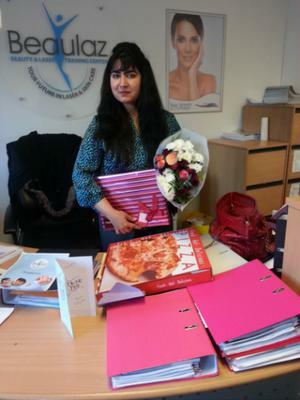 The head office and admin staff have been very supportive throughout my course and I am very happy with that. Kay my tutor, has been very helpful and very friendly. So I would love to come back to do further courses with her. Everything has been very helpful and I would love to come back for more courses. I have learnt alot from the NVQ Level 4 Laser and IPL course. The course covered every aspect of the subject and 100% fulfilled my learning objective. The course length was adequate and very manageable and I will follow the guidelines from what I have learnt from the course in my further laser career. I feel that Beaulaz is an amazing college. 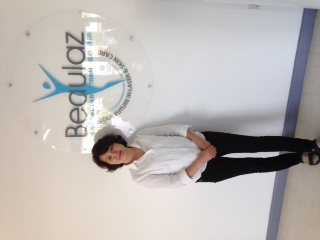 I feel very confident and Beaulaz has helped by offering flexibility through my course and letting me practice more. I feel very confident having completed this course. I studied a 2 day BMLA course in Laser. Kay got all the students to interact with each other which really broke the ice. I am definitely satisfied with the college as there is a very good quality of teaching. The tutor Kay was very helpful. She was excellent and was very attentive to all students. She also demonstrated very good knowledge and experience. I didn't feel she was just reading from the power point presentation. The practical sessions were excellent and we didn't feel rushed. We all had ample opportunity to practice on each other. The quality of teaching was to a very high standard. I would definitely recommend the course. It was very professional and the handouts were of a very good quality. 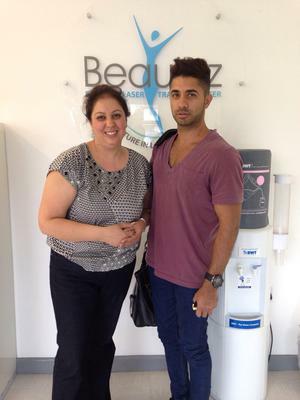 What an amazing 8 weeks at Beaulaz Birmingham. I learnt so much, shared different experiences with everyone else. Talha been so supportive throughout the course didn't let us panic or anything. Her way of teaching is so simple that everything goes straight in your head. She explains everything with an example, which makes learning very easy. I definitely recommend this course who looking to go into Laser and IPL. Course material was easily explained by Talha in a very easy way. Always answered all my questions in a very professional way. She treated everybody equally. We had a very nice group everybody was comfortable. With Talha from day one. So well done everybody and a big well done goes to Talha. Thanks for everything and will see you on the next course Talha. Thank you for being our teacher . Beaulaz keep your good work continued . CHOOSING TO STUDY AT BEAULAZ HAS BEEN ONE OF THE GREATEST DECISION I COULD HAVE MADE. IM VERY PRIVILAGE TO BE ABLE TO MEET SUCH A WARM ,BEAUTIFUL AND VERY UNIQUE PERSON . 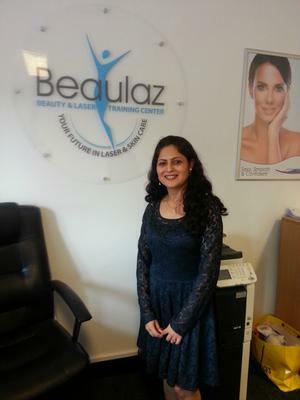 I am very glad that I chose to do my Laser IPL Course at Beaulaz in Slough. At the beginning I was very nervous due to the fact that I haven’t done any Beauty courses before. However from my very first class, I instantly felt relieved and at ease thanks to my tutor, Kay who also helped me boost my confidence. I cannot praise my tutor Kay enough for all that she has done for me – Kay has been exceptionally helpful, professional and understanding. She made the course so easy and fun for us to learn and enjoy. Yes, it has been serious hard work but at the same time it has been a a very fun experience indeed. I am always singing praises about Kay and the college to my friends and family and I would absolutely recommend my friends and family to do the course at Beaulaz. Level 4 has been a good experience and because of this I am also thinking of doing another course and will definitely be coming back to Beaulaz. I did find the course content a little hard and nerve racking at first but the constant support from my Tutor and the Beaulaz staff helped me to feel at ease and helped me to understand fully. I thoroughly enjoyed working with IPL and YAG Laser and can’t wait to operate as soon as I get the chance. 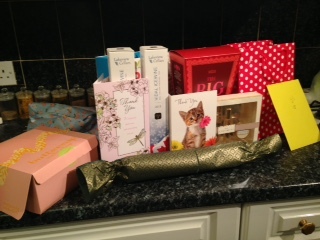 Kay has been fabulous and highly professional in teaching – Thank you for all your help! !